In the Mlaih district of the Madaba governorate, where a young girl was killed when her family's vehicle was swept away by flood waters, rescue teams and divers were on the scene searching for other missing people, Jordan's official Petra news agency reported. Government spokeswoman Jumana Ghuneimat and civil defence officials say the death toll rose early on Saturday, after another body was found in the Madaba region south of the capital of Amman. Rescue operations continue across Jordan. It comes two weeks after 21 people, mostly children, drowned in a flash flood in the Dead Sea area. 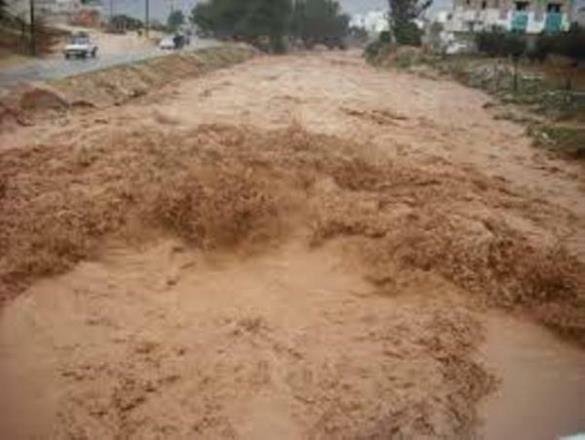 Severe floods on Friday hit Maan governorate, Wadi Mousa area, Petra, Madaba and other areas in Jordan following heavy rainfall across the Kingdom. A civil defence source told AFP that another child died in the Madaba area, also south of Amman, when the auto the child was in was submerged in water. Politicians and members of the public criticised the emergency services for being unprepared and two ministers were forced to resign due to negligence. Dozens were evacuated from the area. More rain is expected on Friday night and Saturday, and schools have been opened to evacuees and those affected by the floods. Videos posted on social media networks showed torrents of water gushing through the canyons, and local reports claimed the floods stirred a panic among tourists visiting the area.